IBM B2B Collaboration software solutions enables you to connect, collaborate, build, and manage your partner communities. Work for IBM B2B Collaboration? Learning about IBM B2B Collaboration? Data transformation, business process engine, ease of setting up communication protocols, queue Watcher to monitor queues. Visibility, performance tuning can be a cumbursome affair, documentation, DB bottleneck affecting application. Evaluate other products in the B2B space as well. IBM is committed to having B2Bi on latest technology providing different capabilities, however I feel they are still way behind on some of the other providers for example in Cloud models like PaaS etc. Of course it is a very robust product with excellent transformation and also can handle different business complexities with its business process engine. However you do need very specific skills set to be able to work on this product and requires some time and training. Also the off shelf product doesnt have any framework capabilities which some of the Business Partners offer. So either you do your own development or can leverage. We are solving problems of EDI application which is online always. Customers are able to connect with us with latest technologies in communications and transfer their data and we are able to transform it as needed. We like the power that B2Bi provides. Currently use the tool for EDI, MFT, AS2, and custom integration processign over 18 million transactions a year. It allows us a standard approach with enough custom sability to provide for our business. It needs to build better document visibilty and performance dynamic dashboarding for monitoring. We use a 3rd party framework for the visibilty which is good, but would like it built into the core software. What Partner Management solution do you use? As one would expect the product comes with thorough and professional techical documenations, demonstrating the level of details the product team went to make sure forward looking and comprehensive. For a small technology company, working on providing solutions with limited time and budget, it is bit challenging to figure out how exactly the product can be integrated with a rather basic product road map with affordability as a priority.. And it is bit easy to get lost with such a broad product and service family within IBM. "It is very nice tool and provides complete tracking on file end to end." We use multiple tools for middleware and this is one of them. Comparing to other middleware tools, IM B2B tool is robust, faster to configure, provides better visibility to the file processing. What was amazing is using less foot print on resources and streams files in GB sizes without issues. When there is something delayed to deliver, we expect some kind of queue monitoring. Control center provides only queue depth monitoring, but if there is something stuck in the queue for longer time from processing proint, it doesn't alert. We opened ticket with IBM support, but leared there is nothing available to track it for now. Most of our useage are around financial and supply chain related. I liked how efficient the software was and how user-friendly it was as well. The software is intuitive and very user-friendly. I did experience minor lags at points. All in all though, this is a quality software and I have no major complaints. I can’t really think of anything that made me dislike the software. I would highly recommend taking advantage of this software. As mentioned above, logistical functions. Standardizing our supply chain process. "Gets the job done, but needs to catch up with modern apps"
I like that B2Bi provides a framework to support our B2B processes very customizable. I don't like that there is no real integration with any CI/CD deployment technologies. The product is lacking in easy scalability features, and is late to the game on current modern technologies. Containers is just being supported, as is multi vendor cloud support. Our dual datacenter designs are very difficult to architect and rollout, as there was no native support for active active until recently. Global mailbox is promosing, but has limits on how it can scale in our environment. We are solving the complexities of integrating our internal supply chain applications with our 20,000+ partners. 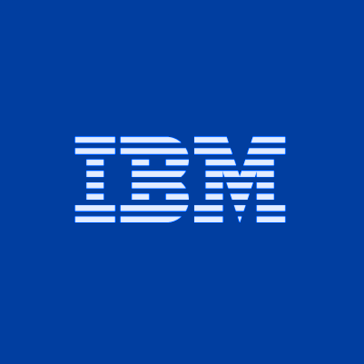 I appreciate the guaranteed delivery of files to our partners; I am encouraged to know and understand where IBM is taking this product; Will be looking into the Speed add-on for larger files and longer distances. Recently we had challenges with our upgrade to our software and platform for IBM MFT. Additional training and information could benefit the new enhancements and capabilities we leverage and could take advantage of in the future. transfer and receiving secure files to and from our business parnters internally and externally. "Enterprise EDI & Data Exchange Solution"
Large scale solution that provides way for us to scale up processing and handle almost 100 billion a year in mission critical processing. Constant patching and releases can make integration testing challenging; would like more testing by IBM to help reduce our testing needs. Providing EDI and data exchange with our thousands of customers and suppliers across many different business units and systems. "A B2B tool that just works!" We use the B2Bi product and what I like best is that it supports so many communication protocols and is a rock-solid product, little to no downtime. All of our enterprise communication as well as supplier/vendor communication goes through B2Bi and it's instrumental to our business. We are looking for more customization. However IBM release 6.0 version fullfilling our need using rest api. Yet to research on that. I am working for riyad bank B2B implementation. Remittance processsing and payroll processing etc are the key services used by this product. It is a very robust product that is extremely configurable to meet many business requirements. Figure out a way to make visibility easier, by either looking into a framework or writing your own tools. It allows us to communicate with all of our trading partners to receive the documents that we need to do business every day. "Strongest B2B Workhorse out there"
I like the stability of the solution and IBM support behind the product. You can actually set and forget it! "Best in class portfolio for customers to enable a flexible integration platform"
Communications is probably the best in the industry. It is quite easy to operate and get started. Processing of information still relies on traditional RDBS, hope IBM can take advantage of NewSQL or NOSQL technologies. Application to Application and Business to Business integration is the common use case. "Missing an SME approach. " The flexibility, meaning no SW ownership. Low operational cost and 24h availability. Automation of processes, compliance and mobility. Because IBM Think 2019 is open and inclusive for all audience from different business entities or companies, they will supercede all niche product vendor offerings. Cannot think of any dislikes off my mind. Security aspects of managing applications that were outsourced at IBM. The end-2-end visibility, the varity of connectors. * We monitor all IBM B2B Collaboration reviews to prevent fraudulent reviews and keep review quality high. We do not post reviews by company employees or direct competitors. Validated reviews require the user to submit a screenshot of the product containing their user ID, in order to verify a user is an actual user of the product. Hi there! Are you looking to implement a solution like IBM B2B Collaboration?